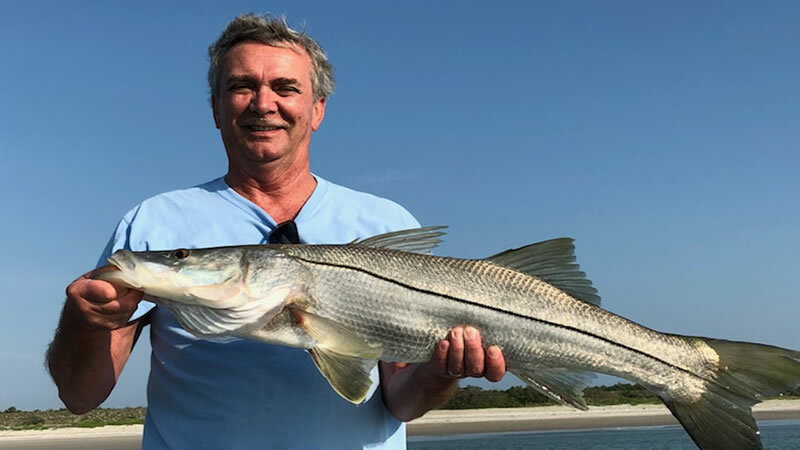 Have you ever asked yourself “Where Can I Catch Snook and Redfish in Florida?” Cape Canaveral is an amazing fishing destination on the east coast of Florida. When traveling to this beautiful family getaway, you can catch snook and redfish in numbers. Inshore Fishing is by far the most exciting outdoor activity you can take your loved ones on. Bring them on a Port Canaveral fishing charter and savor the moment while reeling in some great catches. Take a break from the beaches and sand and experience the salt air in a different atmosphere. Each and every destination will provide a different species to target. Inshore Fishing across the whole state of Florida is excellent but Cape Canaveral has been really producing this summer. If you love to catch snook and redfish, you have to explore what these waters can do for you. Captain Mark Gay is our local expert saltwater fisherman that has spent time determining the best techniques to fish the area. Understanding different tides and currents are important when inshore fishing in Cape Canaveral. 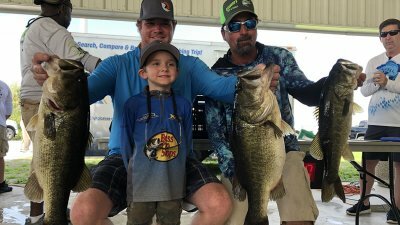 If you are looking to gain some knowledge of this incredible fishery or just set the hook into some quality reds and snooks, Captain Mark is your guide. Kathy and her husband were traveling from Tennessee to Cape Canaveral on vacation. While visiting, they wanted to adventure out off the Space Coast and experience inshore fishing. Just getting out on the water was a pleasure for them. Our fishing charters help you see a unique version of your destinations. Kathy met Captain Mark at the boat ramp at Jetty Park . Port Canaveral is a great place to experience cruise ships, nice hotels and beautiful and delicious restaurants. After getting in your fancy of onshore activities, hop on board one of our fishing vessels equipped with everything you need to land your dream fish. Our captains will take you to the best waters for catching a variety of Cape Canaveral Inshore Fishing species. 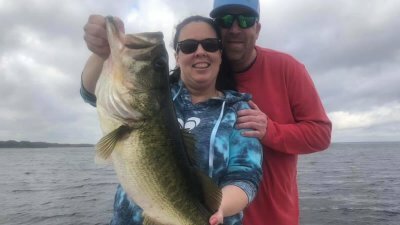 Kathy and her husband were greatly pleased by their fishing adventure with Captain Mark. It was a calm beautiful day perfect for landing some quality fish. They hooked up to 9 nice Snook out of the Port. If you have never caught one before, this is the place to do it. 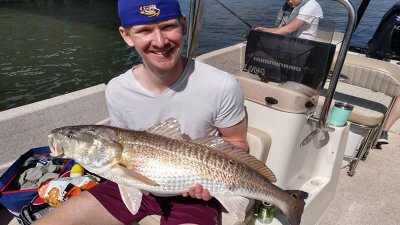 They also landed themselves a hard-fighting redfish that kept the fishing trip exciting. Along with these great catches, an abundance of flounder also made it to the boat. If you love to reel in fish, Port Canaveral can offer you everything you need. When it comes to fishing these destinations, you can catch snook and redfish in a variety of ways. Whether you enjoy live bait or catching them on artificial baits, we can get it done here at iOutdoor. For those anglers looking to just catch big numbers of fish, live bait would be the recommended method and technique. Live shrimp put all the fish in the boat on this Port Canaveral Fishing Charter. Kathy and her husband had an amazing time on the water. Captain Mark cruised back to Jetty Park after this successful trip. Snook were not in season so they were not able to keep any of their catch. They could have kept some of their flounder but did not elect to. Being on vacation, you generally don’t want to keep your fish unless you are bringing it to a restaurant to have them prepare it. Many restaurants along the coast can provide that surface for you. Captain Mark is looking forward to fishing with this amazing couple again in the future. They may want to experience offshore trolling here in Cape Canaveral as this destination provides it all. Don’t miss out on your adventure to catch the fish of a lifetime. 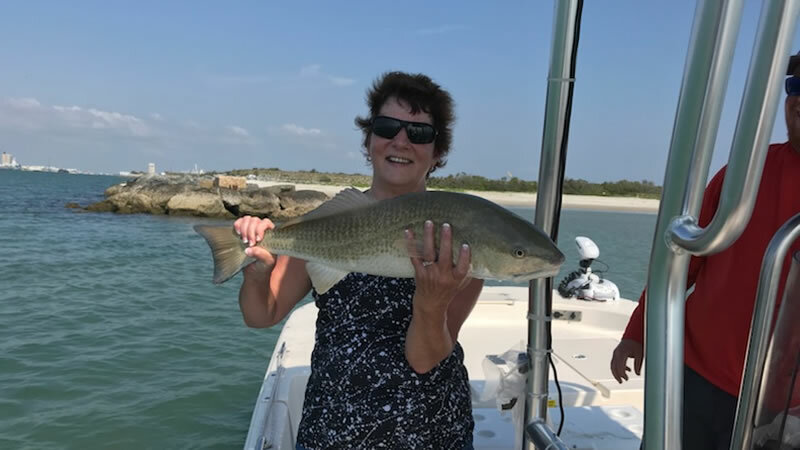 Whether you are in Port Canaveral or any destination along the coast from east to west, we can assist you with all your outdoor fishing needs. Here at iOutdoor we pride ourselves on customer experience and professionalism. Our fishing charters are worth every moment of bonding time with your loved ones and families. We look forward to fishing with you and seeing you on the water next time! Contact us today or book online 24/7!! Your Adventure Starts Today while Visiting Florida’s Space Coast. 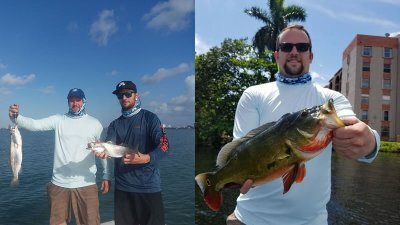 If you enjoyed this post about Port Canaveral Fishing Charter, you might also enjoy our Fishing Blogs.